This a 1974 Montgomery Wards (Gilson Bros.) tractor. 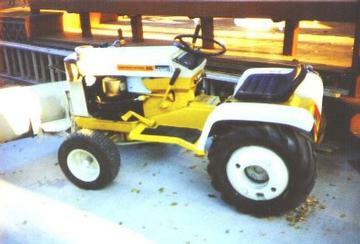 It has a blade and a PTO tiller (not in pic), a 16hp B&S engine and 4 spd. trans and all the manuals! The seat is not torn, that is light relfecting of the edge of it.